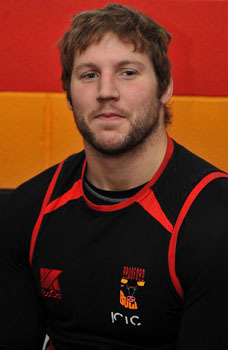 Nick Scruton played at Churwell Chiefs ARLFC before signing for Leeds Rhinos in 2000. In 2002 he made his first-team debut off the benchbut suffered a series of injuries. He spent 2004 on loan at Hull before becoming a Leeds regular in 2005. Scruton was troubled with further injuries but returned to action in 2007, helping Leeds win both the engage Super League and the World Club Challenge. He signed a three-year deal at Bradford for the start of 2009.